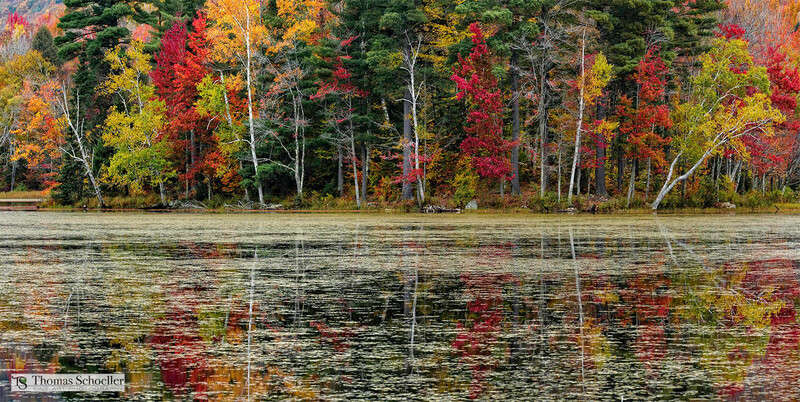 A kaleidoscope of autumn colors is reflected beautifully off the surface of Vermont's Lefferts Pond. Leffert's Pond is located in central Vermont north of Rutland. This art print is a 2:1 aspect ratio, meaning the width is exactly twice the height. The colors and vibrancy are perfectly suited to be ordered as one of our Luxe Gallery Mount Acrylic's.